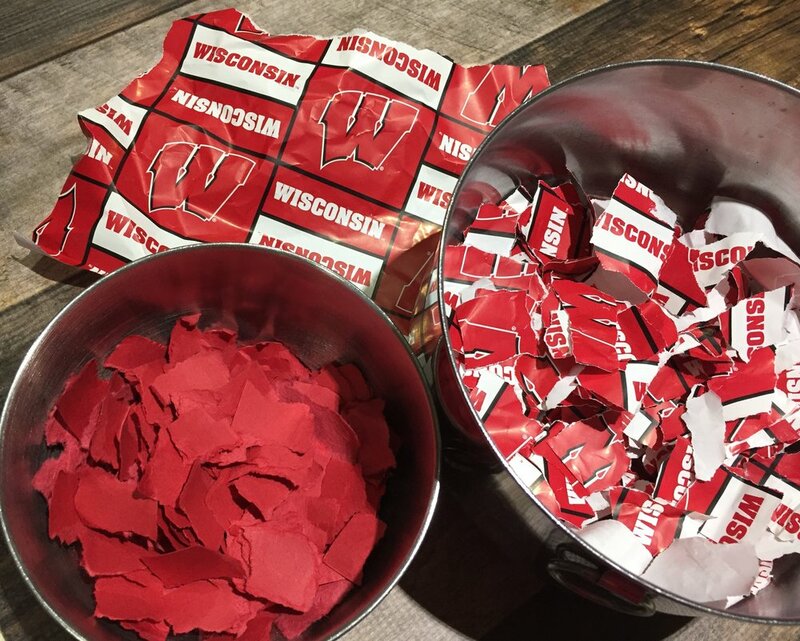 Did you know that you can recycle gift wrapping paper from your favorite college team and make winning handmade paper? Wooden Deckle papermaking kits are all about making beautiful handmade paper by recycling used paper. By shredding used printer paper, wrapping paper, sheet music, greeting cards, etc., and processing them in a kitchen blender, we can give new life to what was once destined to be thrown away. Finding a second use for something instead of throwing it away is good for our earth, and honors the One who made it. In honor of Earth Day, use coupon code: EARTHWECARE for $5.00 off of any papermaking kit for the entire month of April. Happy Recycling! Here at Wooden Deckle our papermaking kits are geared towards making handmade paper by recycling used paper. All of us have so much of it on hand! By making handmade paper from the myriads of paper we go through every day, we preserve our natural resources, and avoid the use of caustic chemicals needed to break down natural plant fibers. Next week I’ll share how to add color to your recycled handmade paper pulp.